Competition time! 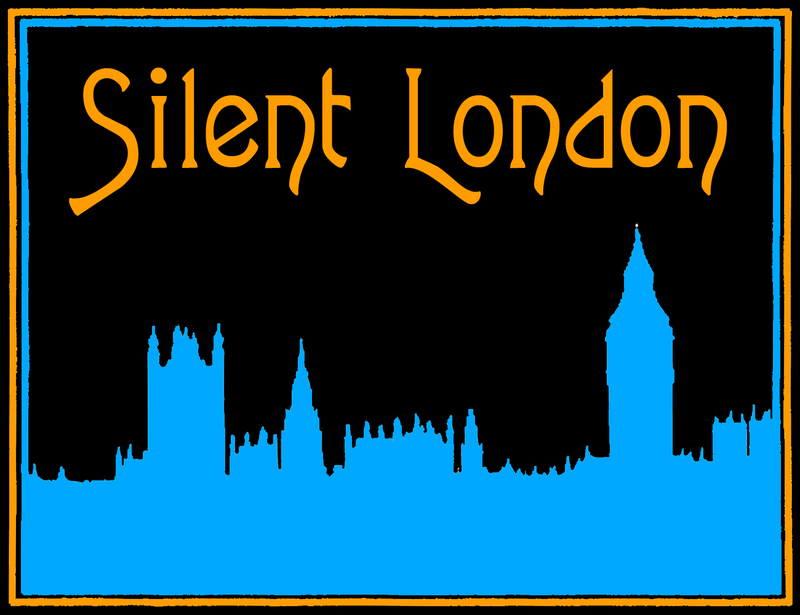 And this time I am giving away three pairs of tickets for some silent movie screenings at one of London’s most atmospheric venues. The team at the Lucky Dog Picturehouse have teamed up with Wilton’s Music Hall, a historical theatre in the east end of London, to put on four nights of silent cinema and live music. The Lucky Dog Picturehouse is dedicated to recreating the original cinema experience, bringing together classic silent films and live, period specific music. Working with some of the best young musicians in London, they have performed at numerous venues including the BFI Southbank, LoCo Film Festival, Hackney Picturehouse, Standon Calling festival and Abney Park’s outdoor cinema series. The Lucky Dog Picturehouse also run a series of educational programmes introducing silent film to children in a fun and interactive way. To win a pair of tickets for one of these screenings, just send the answer to this question to silentlondontickets@gmail.com by midnight on 7 August 2017 – and don’t forget to let me know which film you’d like to see. What is the name of the cowboy star played by Brian Aherne in Shooting Stars? Good luck! The winner be chosen at random from the correct answers and will be notified by email. Hello silent film fans. The wonderful people at the Lucky Dog Picturehouse, who put on some wonderful, and very eclectic, silent film/live music shows around the capital, have a special offer for you – and some tickets to give away too. First, here’s how to acquire some tickets for a night of Buster Keaton films in Streatham, and enjoy a buffet too. 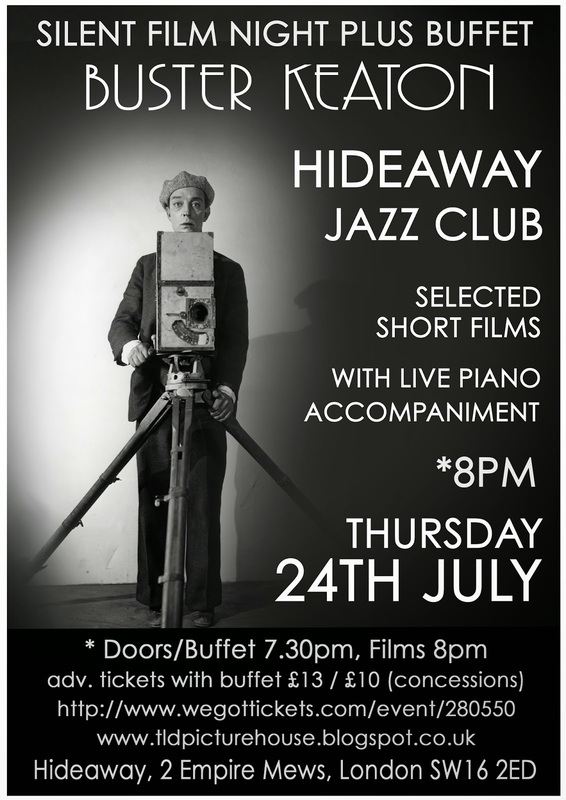 We’ve got a fantastic offer of FILMS PLUS BUFFET just £13 (£10 concessions) next Thursday 24th July at the famous Hideaway Jazz Club, Streatham. Click here to buy tickets. Advance Tickets include finger buffet from the Hideaway kitchen. Please arrive at 7.30pm for buffet (includes vegetarian selection). Please note: Tickets purchased after 21st of July will not include the buffet selection, but will be at the reduced price of £10. Food may be ordered separately at the venue. But don’t forget – The Lucky Dog Picturehouse has two pairs of tickets to give away to Silent London readers. Just email your name to tldpicturehouse@hotmail.co.uk to enter the ballot. Here’s hoping you’re a lucky dog too!